Oprah is still kicking it. For those of you who are not regular meditators, Oprah's got your back. 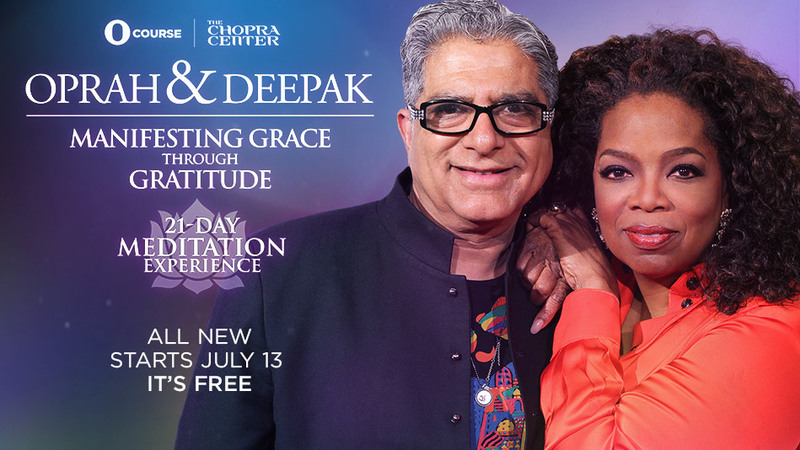 She has collaborated with self-healing guru, Deepak Chopra on a 21-day meditation exercise and there is still time to sign up. It's worth it. It targets our belief systems and challenges us to investigate what we truly believe about ourselves and our identities. The meditation has left me feeling refreshed and with clarity of mind, as well as more empowered to follow my instincts. I have a slightly different meditation that I normally do but I am enjoying this one. So far, 4 meditations have been released. The positive benefits of meditation are unbridled and there are so many ways of meditating that it's really not difficult to try out.